Sundays Will Never Be The Same - Autographed by DW! 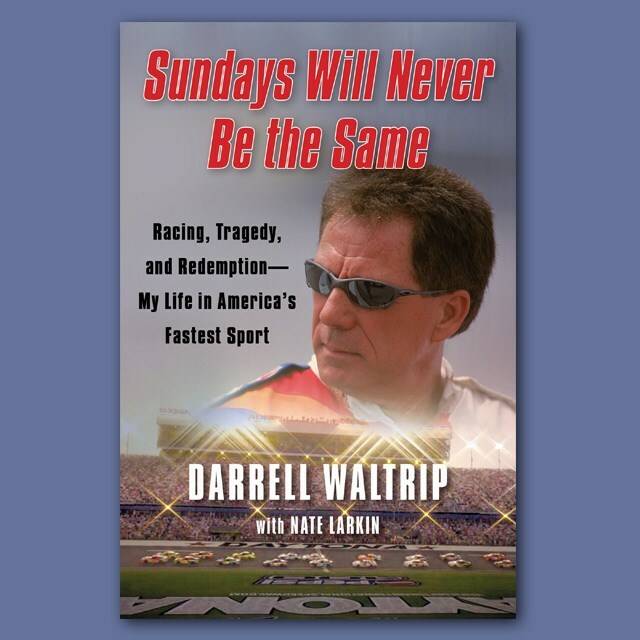 NASCAR Hall of Famer Darrell Waltrip knew that big changes were in the wind on the morning of February 18, 2001. For the first time in his long and storied career, Darrell would be watching the race from the broadcast booth high above the track, explaining its complexities to a television audience of millions. His younger brother Michael Waltrip would be among the starting drivers. Sundays Will Never Be the Same opens with a heart-stopping account of that dramatic race. By the time the sun set on that day, Michael Waltrip would have captured his first checkered flag in NASCAR’s biggest race, Dale Earnhardt Jr. would have placed second, and Dale Earnhardt, the sport’s brightest star, would have passed into eternity. The sudden death of Dale Earnhardt on the final lap of the 2001 Daytona 500 was a traumatic loss for the entire NASCAR family, and few were affected more deeply than Darrell Waltrip. Each copy of the book is autographed by Darrell Waltrip.